If you haven't already, purchase the 'Print Your Own Magnets' bundle. 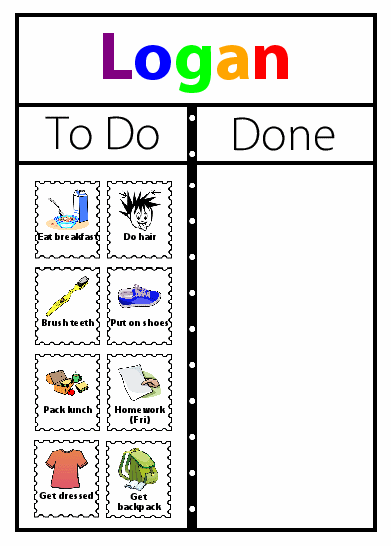 Includes a 1/2 sheet of adhesive magnet paper and unlimited use of the Magnetic Checklist website activity. A gift card will be mailed to the recipient with a Gift Code they can use to log onto the website and print their own magnets! You can enter a shipping address on the next screen. Pay securely at PayPal.com using any major credit card. A PayPal account is not required. 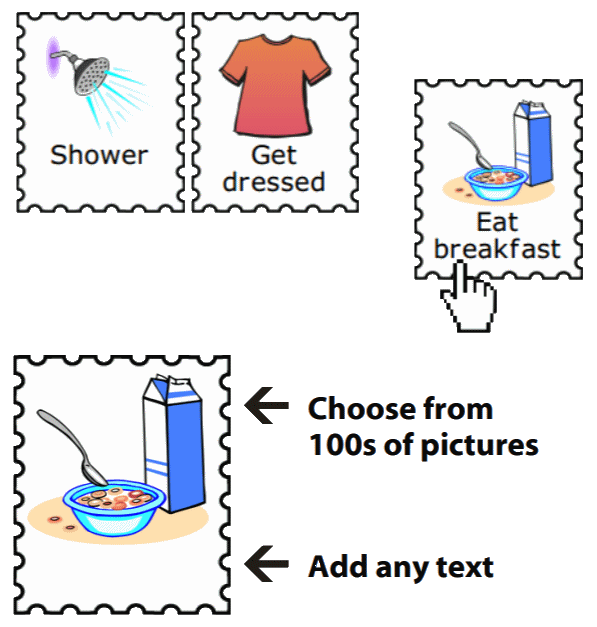 Use the Magnetic Checklist Activity to choose the pictures and write the text for your 35 magnets. Print your magnets on regular paper. 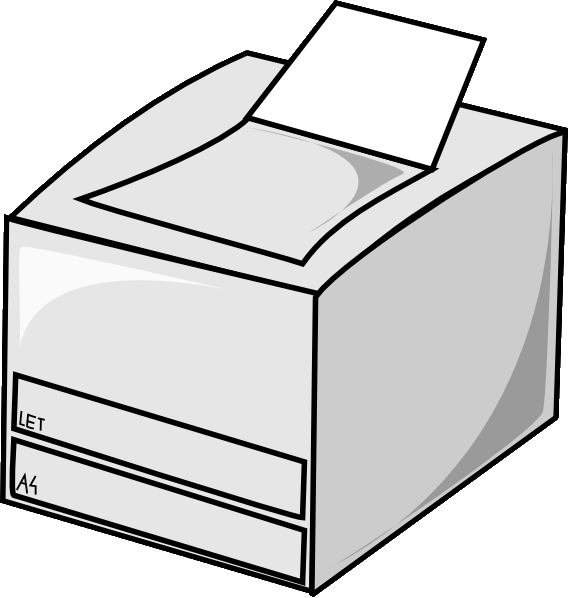 Note that instead of printing, you can also save your magnets as a PDF and take it to Kinko's or Staples to have it printed for you - this is a great way to get your magnets printed in color if you don't have a color printer. Cut your printed pages in half following the solid line in the center of the page. Peel the adhesive off of a magnet sheet. NOTE: If you only need to print a few magnets, cut the magnet sheet smaller before peeling off the back. This will conserve magnet paper for later use! 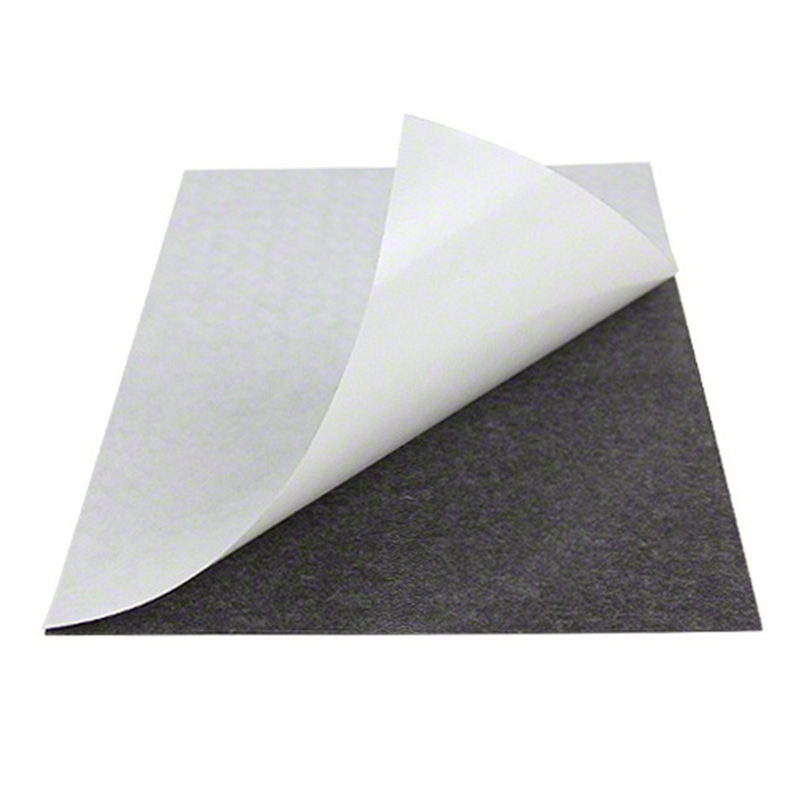 If you haven't purchased any adhesive magnet sheets yet, you can buy them here. 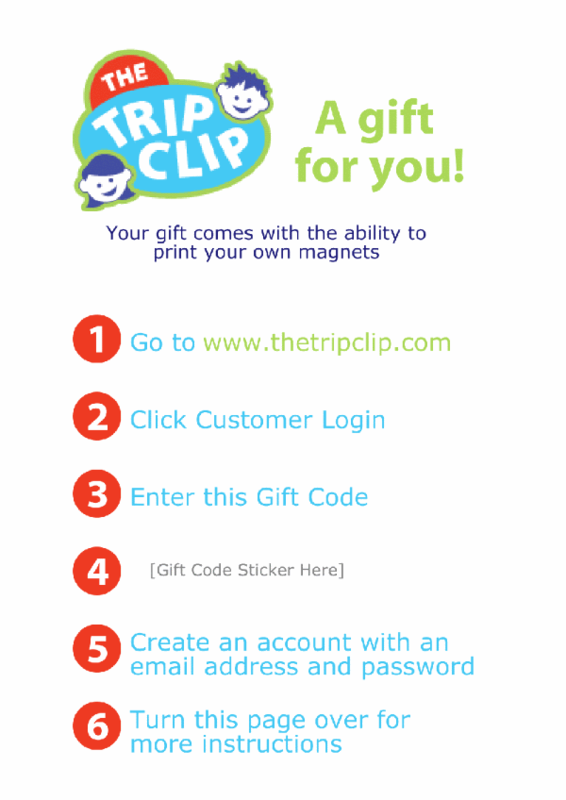 Place a printed Trip Clip page onto the sticky side of the magnet sheet. 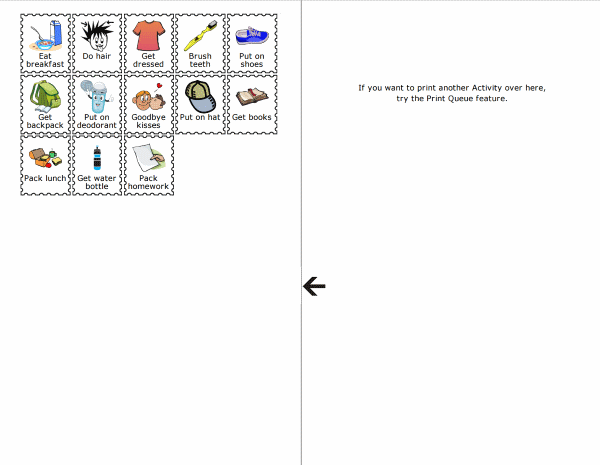 Cut out each clipart square. Place your Magnet Stamps onto your To Do/Done Board. If you haven't purchased a To Do / Done Board yet, you can buy one here.